Lydia arrived at the Berkeley Marine Center with dry rot in her stem. 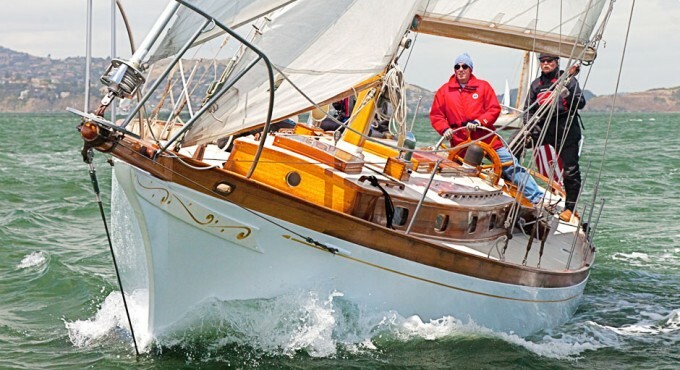 Steve consulted Lydia’s original plans from the Mystic Seaport Museum to reconstruct the bow. After careful measuring and several stages of fitting and refitting, the new Purple Heart stem and clipper-bow beak were made. 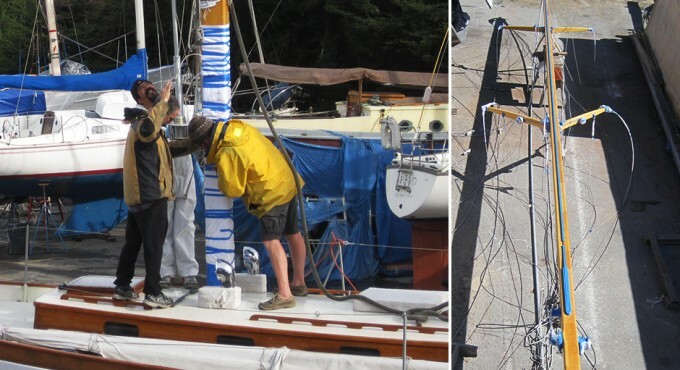 The bowsprit was replace with a piece of fir and the 54-foot mast was varnished. 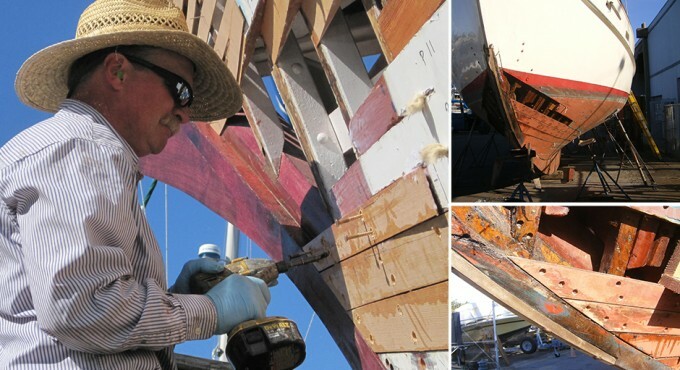 To prevent future water leakage, Steve and team installed copper sheathing over the clipper bow. As Christmas season approached, the finishing touches were being added to the reconstructed Lydia – including a festive wreath. 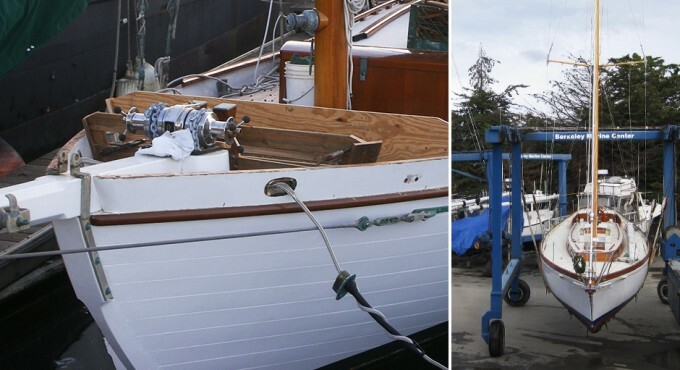 Lydia was carried to her berth at the Berkeley Marine Center, where she stayed for 36 hours to allow her bottom planks, which had shrunk from dryness, to swell. 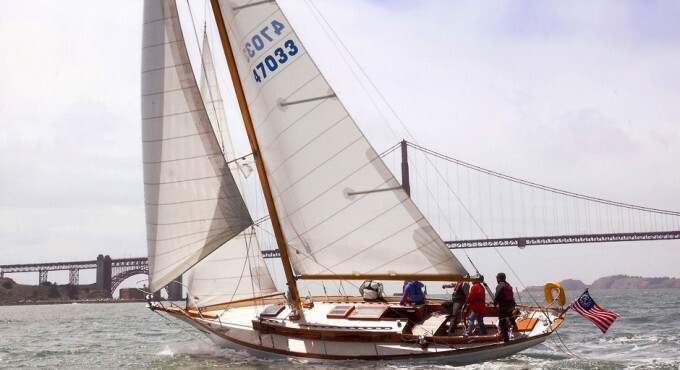 Lydia is currently back on the water and remains one of the owners’ most cherished Christmas gifts. Thanks go to Steve and his assistant carpenter, David, to the Berkley Marine Center for taking such good care of us.